Johannesburg – Questions about the recently leaked emails purportedly showing ties between government, President Jacob Zuma and the Gupta family, were shut down by ANC NEC member Nosiviwe Mapisa-Nqakula on Sunday. 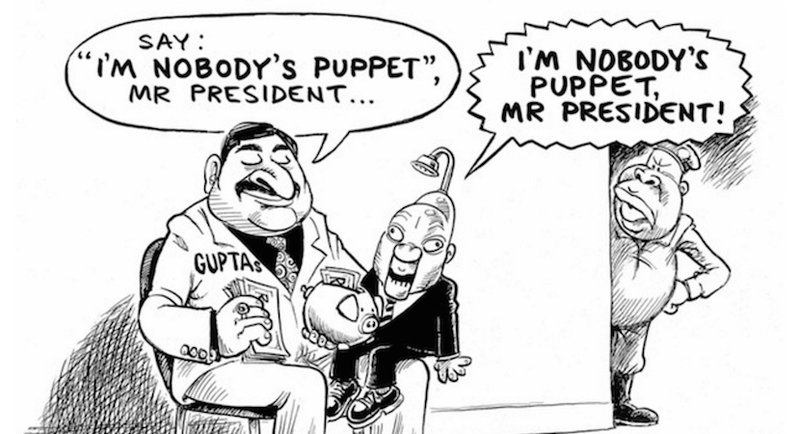 “I would want us to not respond to this matter of the emails,” said Mapisa-Nqakula. 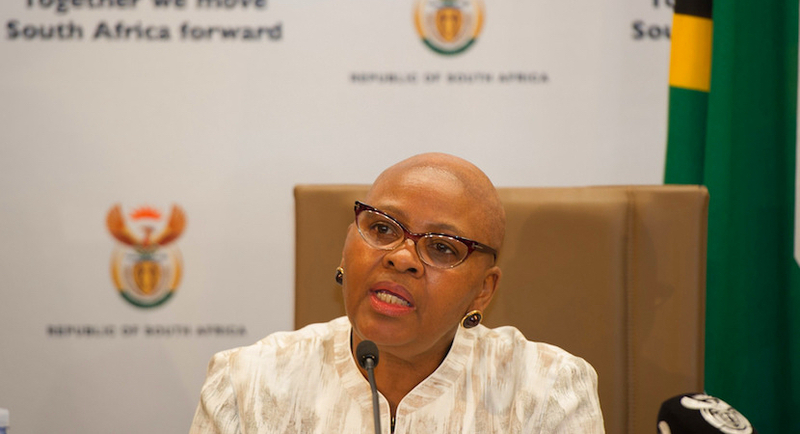 She was speaking in her capacity as a member of the ANC’s NEC’s subcommittee on peace and stability, which was briefing the media in Johannesburg on the peace and stability discussion document ahead of the ANC National Policy Conference. She suggested that the matter “really has nothing to do with our work as the peace and stability committee”. NEC member and Justice Minister Michael Masutha then commented on court cases lost by the state. He suggested that while, at times, government officials could have avoided judicial action, there were also perceptions of biased judges. Turning to the matter of judicial overreach, Masutha said it “remained a highly contested territory” and an “ongoing challenge”. Dig deep! SA's finest investigative journos trawl through truckloads of dot -connecting Gupta emails. HUGE crimes demands HUGE consequences. Masutha also said that it was hoped that a hate crimes bill, which would allow criminal recourse against racism, would come before Parliament before the end of the year. “[We are] pleased with the positive response from the public”, he said indicating that there had been thousands of responses thus far. Commenting on perceptions of xenophobia, Mapisa-Nqakula suggested that members of the subcommittee “don’t believe South Africans are xenophobic”. The fact that there were “intermarriages and interrelationships” between South Africans and foreigners was one aspect of proof against this, she said. As such, when attacks against foreigners arose, “it’s like a family: when you have issues the immediate [reaction] is to vent out anger towards the weakest”. 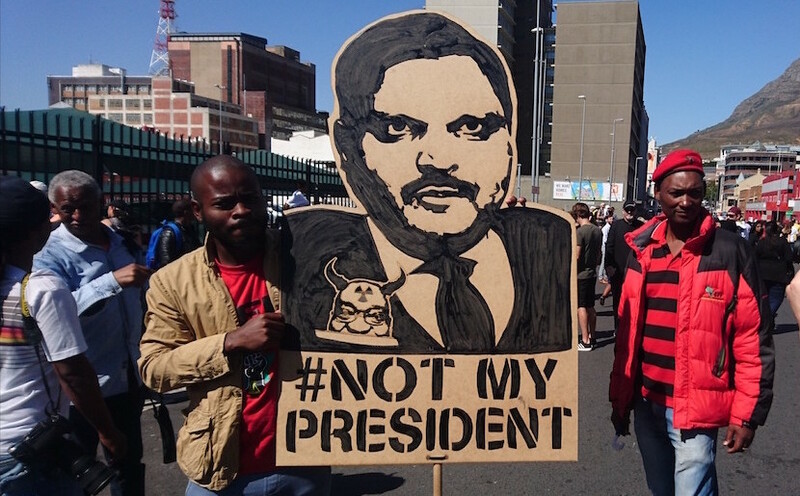 A protest placard depicting Atul Gupta carried by two EFF members on either side of it at a Zuma Must Fall protest in Cape Town. These people “need to be talked to”, she said. 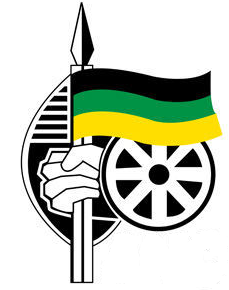 The ANC has been holding a number of briefings to report back on its various policy documents ahead of its policy conference later this month.